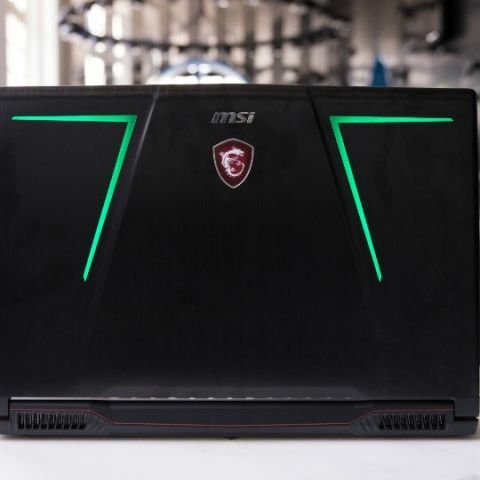 With the power of a new hexa-core CPU and featuring an all-new exterior, the MSI GE73 8RF Raider offers everything a gamer enthusiast might need. Gaming laptops have always been about performance over everything else. Most of these come in the universally accepted red and black attire and I don’t think this is going to change anytime soon. The latest 8th gen Intel powered MSI gaming laptops are a classic example. 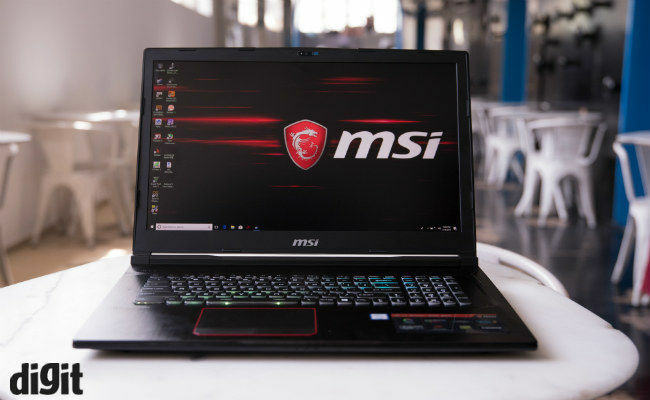 While the company is updating its entire product portfolio in India to the 8th gen Intel H (and above) series processors, we had the chance to check out the MSI GE73 8RF Raider prior to the media event. This new 17-inch machine seems like an improvement over its predecessor, not just on paper, but in person as well. With prices starting at Rs. 1,79,990 the GE73 8RF Raider is venturing into the enthusiast price bracket and yes by what we have seen and experienced in the small time with the machine, it seems quite inviting. While the red and black paint job has been a staple for gaming laptops, more and more laptops are now offering RGB lighting as well. The MSI GE73 VR Raider, which sits (by price) somewhere in the middle of the company’s gaming lineup features both. So, you have an aluminium and plastic shell on the machine which has RGB lighting not just on the keyboard, but on the lid as well. MSI calls it mystic lighting as it is fully customisable from within the pre-installed app, and will let you set up different lighting according to games, or just your liking. 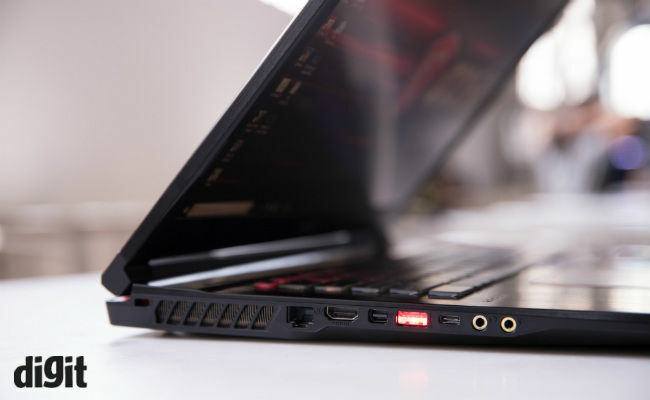 Not just that, the Type-A USB 3.0 ports on the laptop also feature red backlighting, giving the machine a unique look. While the build quality is not much different from the machine’s last iteration, MSI has achieved a drop in weight and thickness. MSI tells us that the cooling has also been upgraded, which is now much needed as the laptop is now powered by a more powerful hexa-core processor. More importantly, the base version of the laptop is available with an NVIDIA GTX 1070 GPU. As mentioned, with this latest lineup MSI is moving forward to the latest 8th gen Intel H-series processors and this GE73 Raider is powered by the Intel Core i7-8750H. This new hexa-core processor from Intel is claimed to offer considerable upshift in performance over the last 7700HQ processor from last year. Combined with an NVIDIA GTX 1070 GPU and 16GB DDR4 RAM, you end up with a very capable machine for gaming. We ran Doom at ultra settings and even played Shadow of Mordor at max settings and the machine performed beautifully, consistently pushing more than 60 fps in both games. There is plenty of fast storage as well as MSI will offer 512GB NVMe SSDs in RAID 4 in addition to the 1TB HDD. We couldn't check the heat emissions in the limited time we had with the device, but we will certainly do that once we get the device for review. 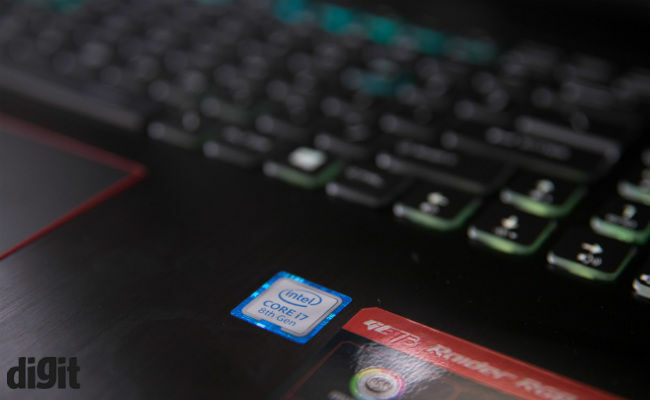 Another essential aspect of this gaming laptop is the display, which is now a 17.3-inch panel which has a refresh rate of 120Hz with a response time of 3ms. Considering the category average is more than 5ms, this is quite good. The display itself doesn't seem quite bright though, but the colour fidelity and viewing angles seemed good enough for an immersive gameplay. Besides the new set of hardware, the MSI GE73 8RF Raider also offers a SteelSeries keyboard with customizable RGB backlighting, plenty of ports and Sabre Hi-Fi audio solution. While we are happy with the port selection here, the SteelSeries keyboard would be the one which feels better than last year’s iteration. The keys offer a 1.9mm key travel, which in the short time we used them seemed quite good, although we would reserve our final verdict till we do a complete review. 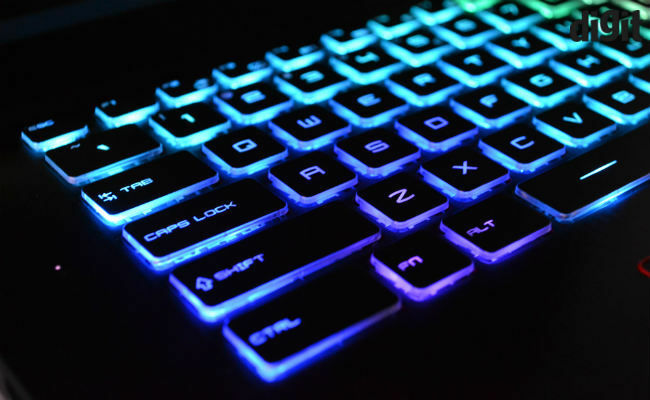 Also, if you are particular about your keyboard backlighting, it is per key RGB, instead of zoned RGB. All-in-all, the GE73 8RF Raider seems like a good gaming laptop for a gaming enthusiast, especially for the price. Considering the amount of hardware it offers, (currently) it is really hard to make a gaming PC at the same price offering the same specifications and looking this cool. Sir can you suggest me a laptop under 50k of a gaming genre.